The KuroBasu boys joined my other one coins today! Ah, but there's no more room... 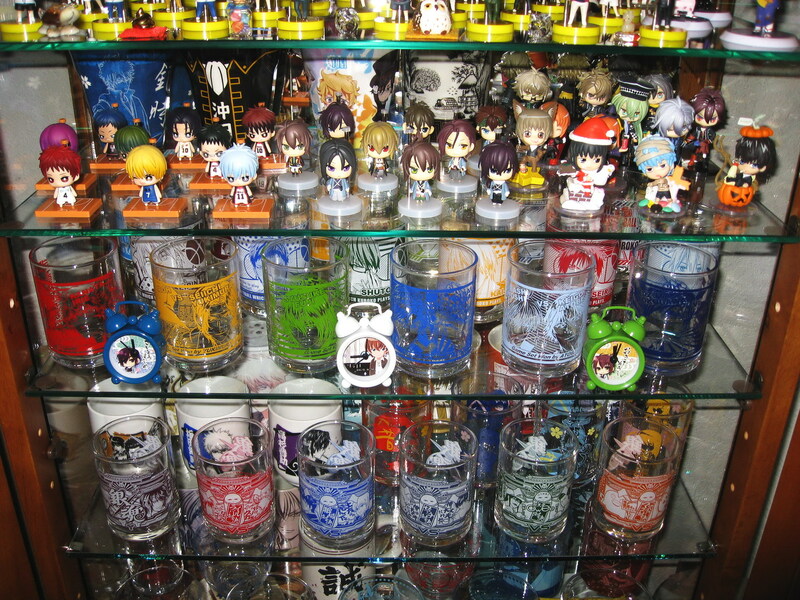 I will need to move the melamine cups to the bookshelf if I want to have room for the second Hakuouki One Coins and the second KuroBasu One Coins!!! Anyways, they are really cute hehehe, and actually really easy to stand cuz they don't fall over!!! Your collection is the most hmmm... full? So many colors and neatly organized! 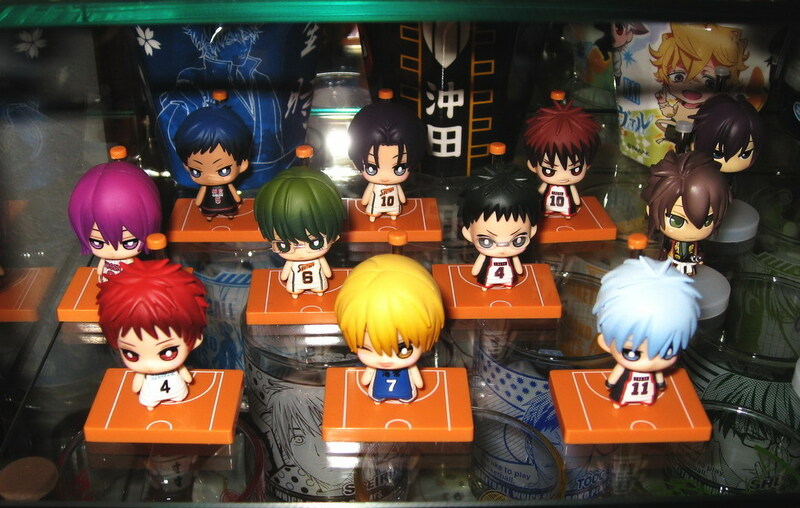 The KuroBasu one coins don't look nearly as spacey (I'm talking about their eyes) in real life than they did in the art. I see I see, yeah you paid quite a bit last time so next month is fine =) Ah, when do you want to get the rest of the pins and canbadges? Before the one coins and the posters? I'm so in love!!!! 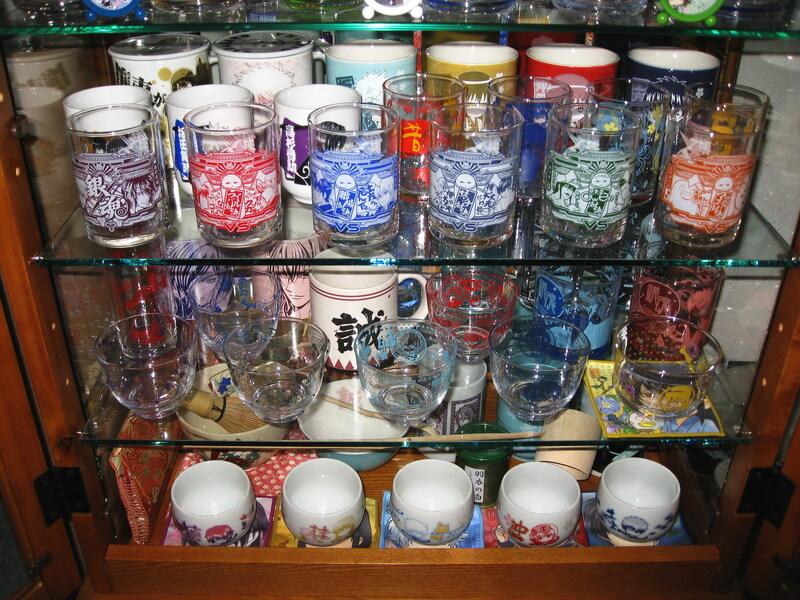 Your collection is amazing~ I am so jealous! 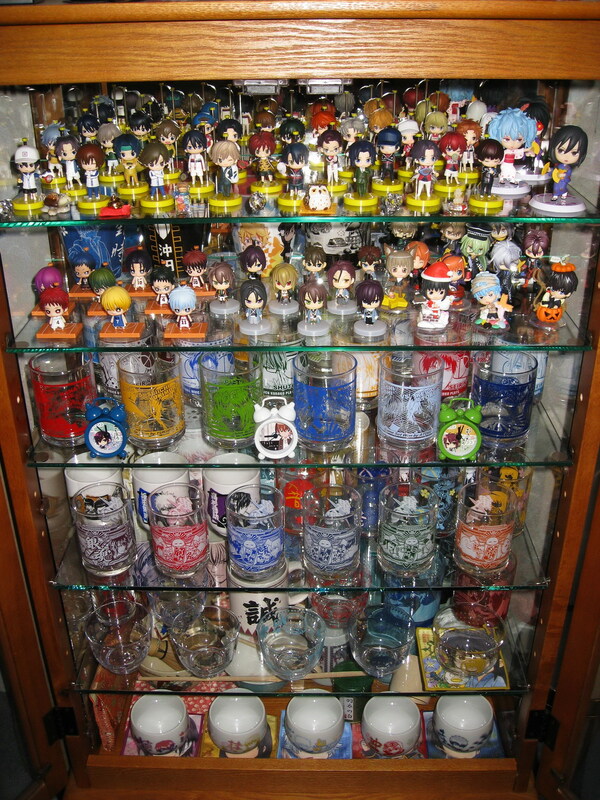 I love how tidy and well organised it looks- I may have to steal your way of displaying XDD !! I hope you'll be able to get a cabinet or something for your stuff too, it's just very convenient, and they don't get dusty!!! 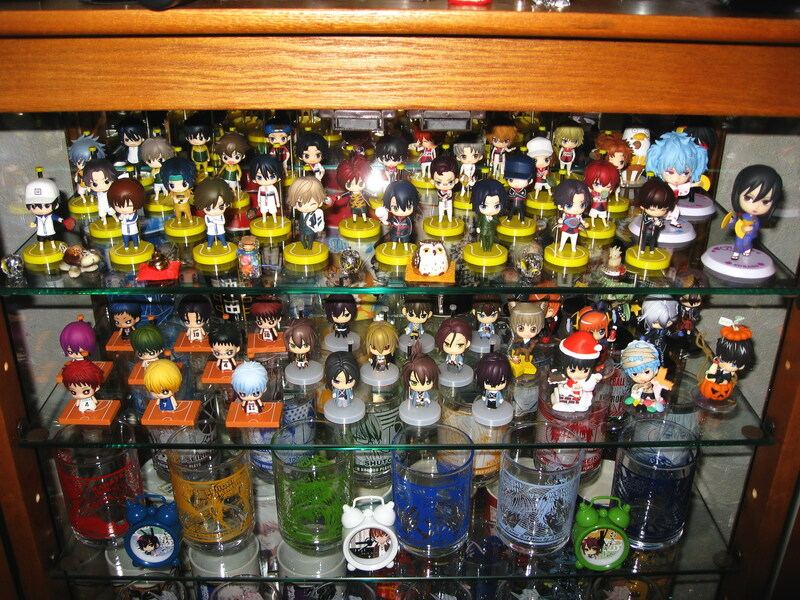 I have already done a cut back of my IY collection so it just needs to be moved or reorganised, but I can't wait to make room for my KuroBasu figures!